The following essay from Balakian winner Michael Gorra continues the In Retrospect series with a look back at Shirley Hazzard’s 1980 winner, The Transit of Venus. My first copy of The Transit of Venus was a large blue stiff-spined volume from the Quality Paperback Book Club. It belonged to my mother, or did until I took it, and took it precisely because it had won this organization’s 1980 award for fiction. Not that that was enough to make me actually read it—the book sat on my shelves for years, as I graduated from cinder blocks and boards, to Ikea, to built-ins. Eventually it disappeared. I must have put it through triage, decided I wasn’t going to read it, and boxed it up with a hundred other used books to make space. 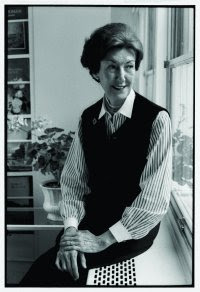 I wonder now if something like that didn’t happen to Shirley Hazzard’s reputation in the years that followed her great novel’s publication. Her production throughout the 60s and 70s had been measured, not prolific but steady. It would, however, be over twenty years before she published another book, her 2001 memoir, Greene on Capri. It was easy to forget about her; easy, too easy, never to get to know her work at all. (Though I remember a day in the late 90s, when I was visiting friends at Breadloaf, and the whole place was abuzz with the expectation of her arrival. So maybe the ignorance was just mine.) The Great Fire followed quickly, and won both the National Book Award and the Howells Medal of the National Academy of Arts and Letters. These books made a new generation turn to the old ones, and after reading Greene on Capri I picked up The Bay of Noon. I am a sucker for stories about Anglos in Italy, and this is one of the best, a novel set just after the end of the Second World War; read it alongside Norman Lewis’ classic work of reportage, Naples ’44. Then somebody reminded me about The Transit of Venus. This time I bought my own copy. Though maybe we could explain that quality of estrangement by noting that The Transit of Venus is the work of a displaced Australian, of someone who left that continent in her teens and has made her life elsewhere. There’s something about Hazzard’s prose, about that eye like an awl and her willingness to reach for grandeur that reminds me of Patrick White; a sense as well of being related to but not quite a part of either Britain or America. That thought has just come to me this morning, as I began to write these notes, and if true, it must qualify my sense of a narration that seems to proceed from nowhere, unmarked any sense of national origin. But I’ll stick by it for now. The Transit of Venus is a novel in English, full stop, and in James’ words “highly civilized” for being a native of no other country. The paradox is that this very placelessness makes the book a wonderful lens through which to view 20th century British fiction. I put it at the end of a syllabus two springs ago, as a way to synthesize a semester’s worth of reading. Caroline and Grace Bell recalled the pair we’d encountered at the start of the term, the Brangwen sisters of Lawrence’s Women in Love, and so did Hazzard’s evocation of the physical power of desire, a quivering that’s never just that of anatomy. There was London, the London of Graham Greene and Elizabeth Bowen, and a bit of Doris Lessing too in Caroline’s shying away from the definitions her world wants to place upon her. And Conrad, maybe Conrad above all both in the shifting perspectives, the indirection, of her narrative and in her sense of the private motives behind every public action. But it was as if there was a bobble in the camera. We saw these things, but saw them differently, these things that earlier writers had taken for granted, and that bobble provided a sense of distance, of standing aside or even perhaps outside, that allowed us to measure the changes that the century had made, the changes to Britain and to the genre as well. My students loved it. The Transit of Venus has a classic form—a distanced and authoritative narrative voice, a set of characters firmly rooted in social circumstance. George Eliot would have recognized it as a novel in her own tradition. I think it would have seemed old-fashioned in 1980, yet today that classicism makes it look both more enduring, and more up-to-date, than the “experimental” work of those years; a novelistic equivalent of Auden’s decision to write sonnets. My memory of the books that hit me hard becomes inseparable from my memory of the place in which I read them. I can still recall the uncomfortable chair in which I first opened Jane Austen, and with Hazzard I remember the daybed in the Madrid hotel where I started it, cracking my new Penguin and turning off the televised bullfights. I can see the library of the country inn in Cantabria where, unable to sleep, I finished it one groggy summer dawn. Which isn’t something I’d recommend—Hazzard’s last pages are so elliptical that on that first encounter I completely missed them. So you’ve got fair warning—pay attention to the most inconsequential details, and be prepared to read it again. And now it’s time to turn to the novel’s dispassionate threatening first sentence. “By nightfall the headlines would be reporting devastation.” But Shirley Hazzard is talking about the weather—or about the weather also. 2001 Balakian winner Michael Gorra teaches English at Smith College. His books include The Bells in Their Silence: Travels through Germany and, as editor, the forthcoming Portable Conrad. "A Look Back at Shirley Hazzard’s The Transit of Venus" was posted January 25, 2008.